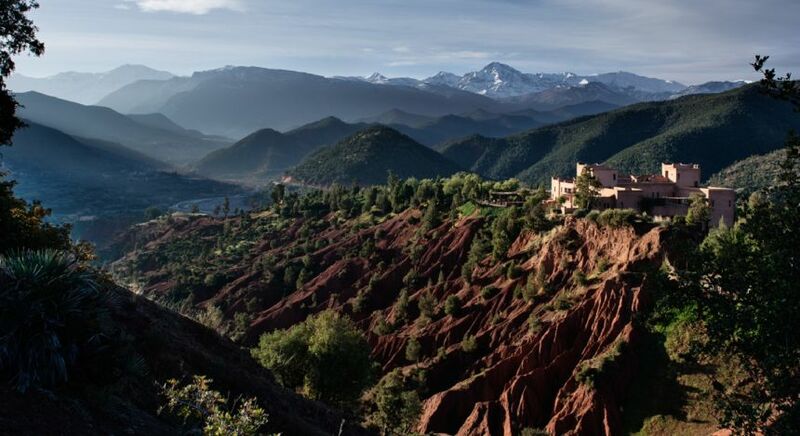 To travel to Morocco is to experience one of the true jewels of North Africa. It is a land of profound historical and cultural importance. A land of endless diversity and constant surprises, a land of Islamic imperial grandeur and old-European elegance. Morocco is a country where the past and present live together in fascinating harmony. You will find it a country both enchantingly exotic, yet comfortingly familiar. Moroccan culture is a perfect blend of African, Arabic (or Moorish), and European influences. Naturally, the two most common languages in Morocco are Arabic and French (Spanish is also relatively common in the north). 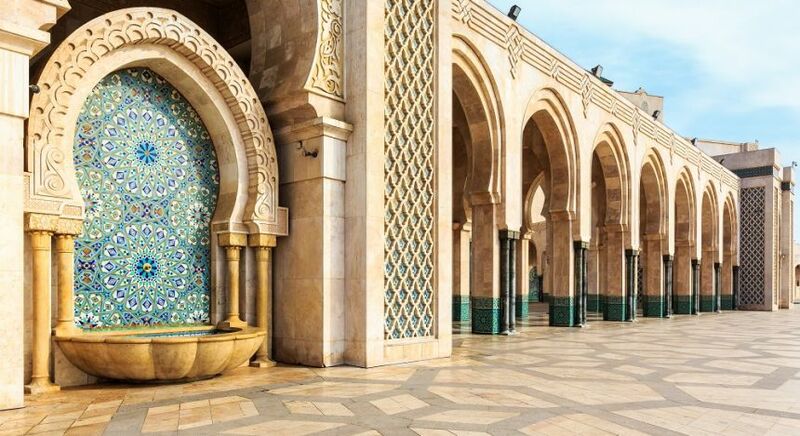 This European influence can be felt particularly in larger cities such as Casablanca, Fes, and Marrakesh, where you will find both grand Islamic palaces, and Parisian style art galleries in close proximity. If you want to experience a destination that is rich in culture and history, you’ll find plenty to love if you visit Morocco. 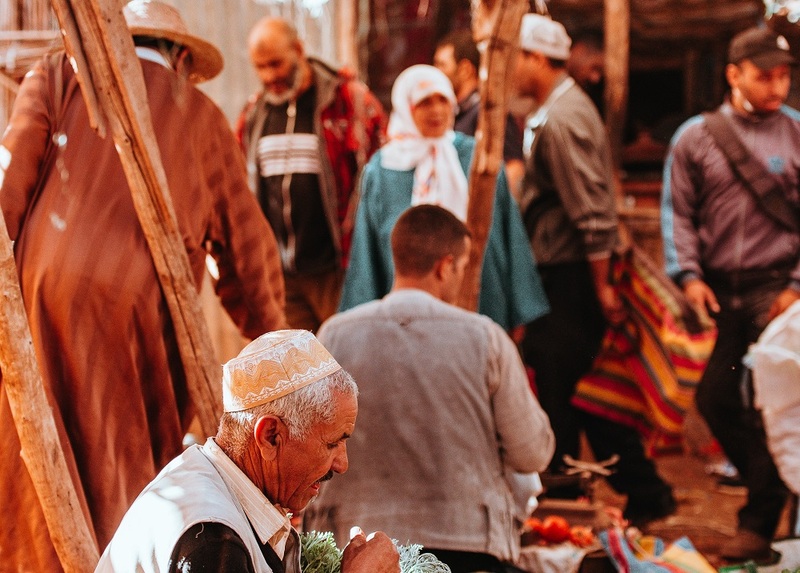 Simply walking around the cities of Morocco, enjoying delicious local food, and soaking up the grand and varied architecture can be very rewarding. 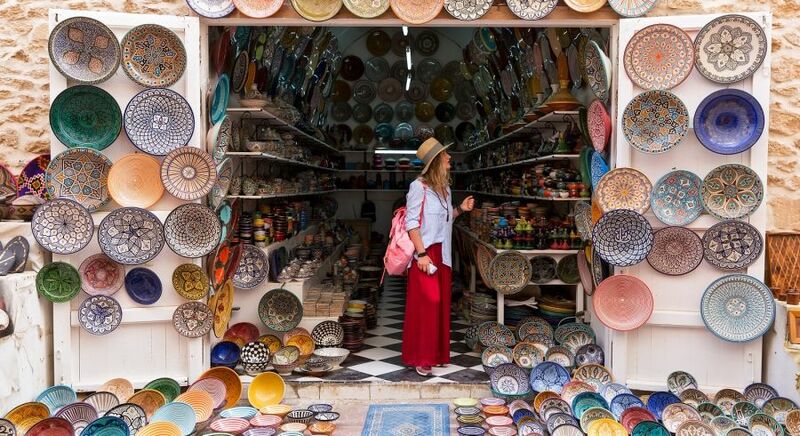 There are countless things to do in Morocco, from shopping to surfing and everything in between! Indeed, people of all ages will find much to love in the expansive deserts, or winding rustic streets of Morocco. 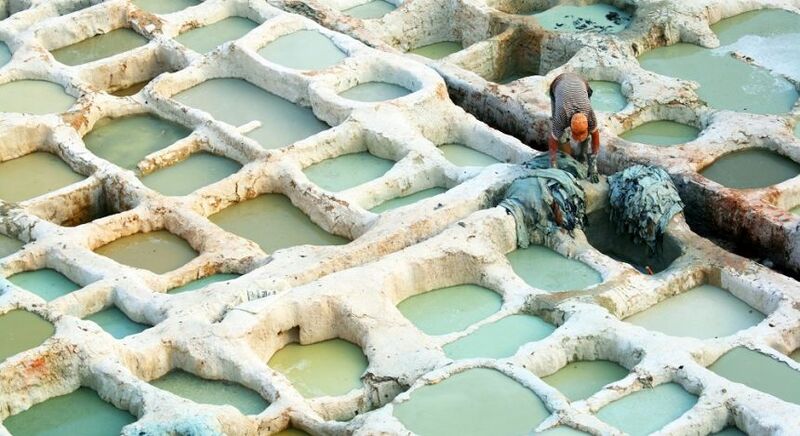 Do you want a slower paced and cultural tour of Morocco? Then you’ll love the historical sights, museums, and palaces dotted around the country. 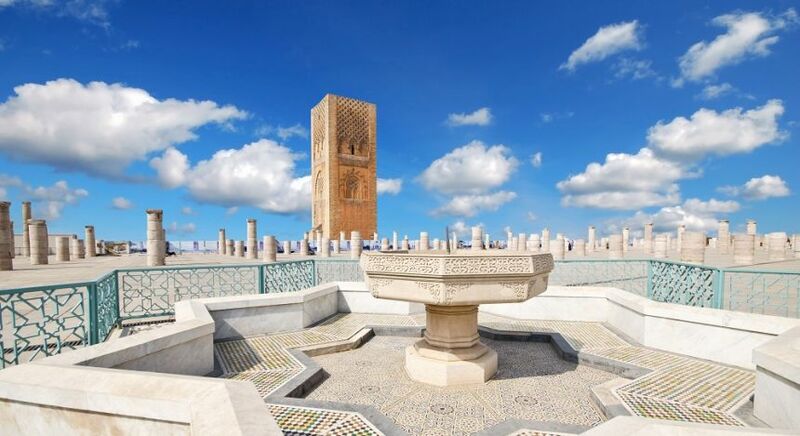 We recommend visiting the beautiful white Cathedral of Casablanca and the grand Hassan II Mosque, the largest mosque in Africa. 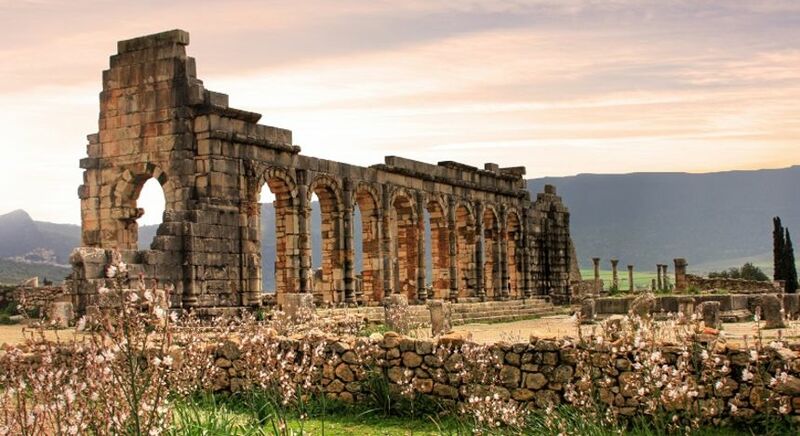 From Fes you can visit the fascinating and well-preserved ruins of the Roman city of Volubilis, once one of the most important cities in the region. The blue city of Chefchaouen. 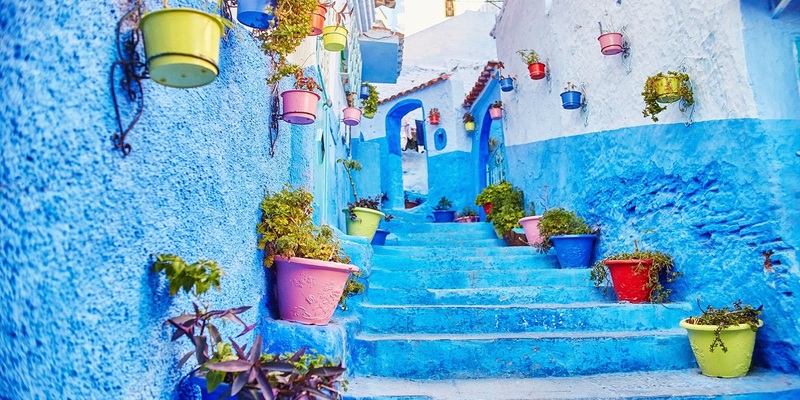 You may have seen photos of the blue city of Chefchaouen which lies in the northwest of the country, close to the autonomous Spanish enclave city of Ceuta. 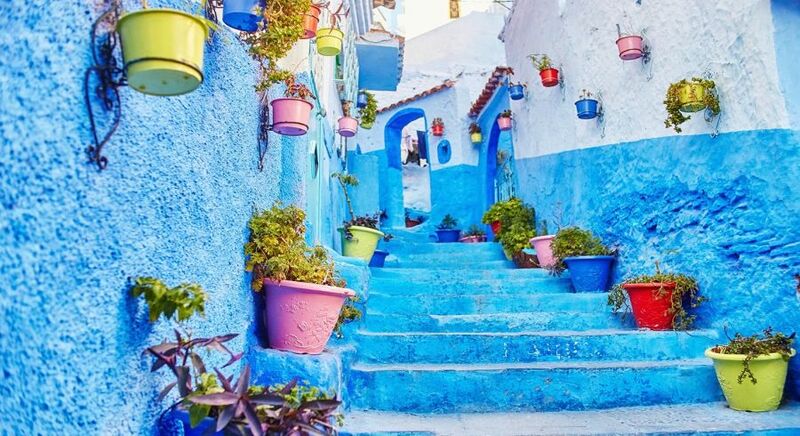 Chefchaouen’s gorgeous blue buildings give the city an appearance quite unlike any other in the world, and the city is well worth a visit when you travel to Morocco. A typical souk in Marrakech selling colorful wares. 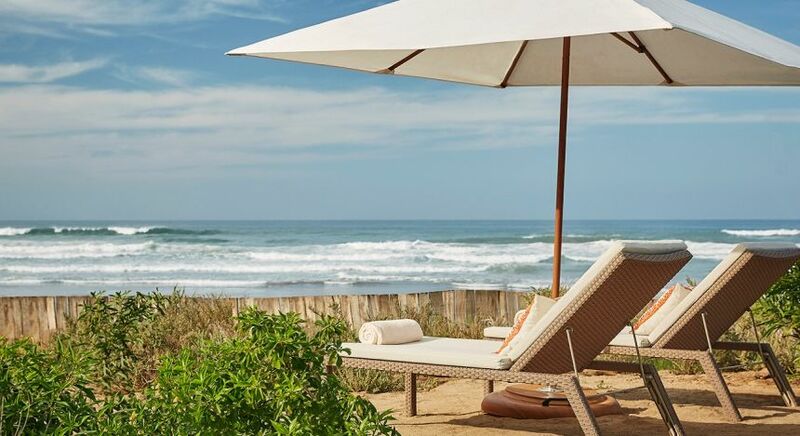 Would you prefer to spend your Moroccan vacation discovering exotic wares? 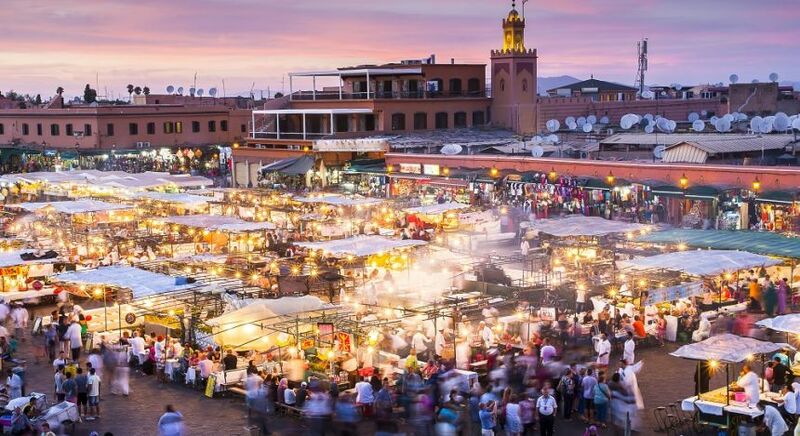 Then explore the grand souk (traditional market) of Marrakech, where you will find everything from traditional Berber handicrafts and carpets, to modern electronics. Nearby is the iconic market square, the Jemaa el-Fnaa, which has existed for almost 800 years. 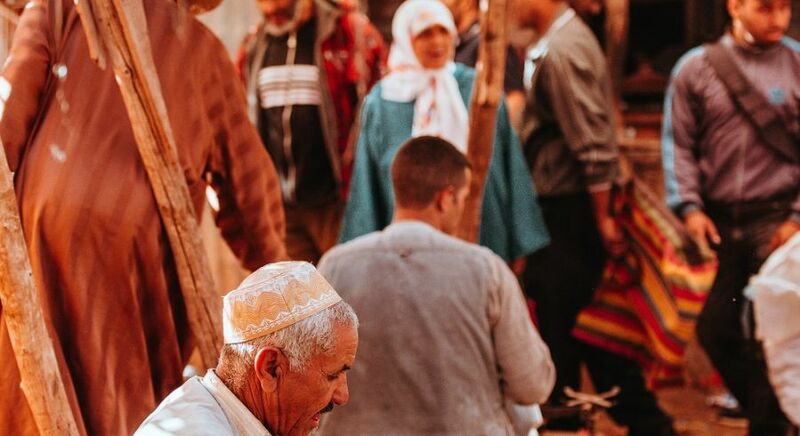 Even if you have no real plans, simply walking around the cities of Morocco, enjoying delicious local food, and soaking up the grand and varied architecture can be very rewarding. 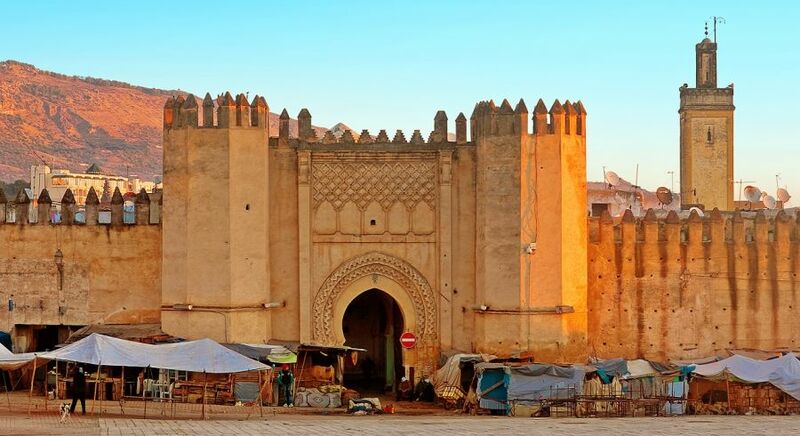 We particularly recommend the iconic Fes medina (old-city), a UNESCO World Heritage site. 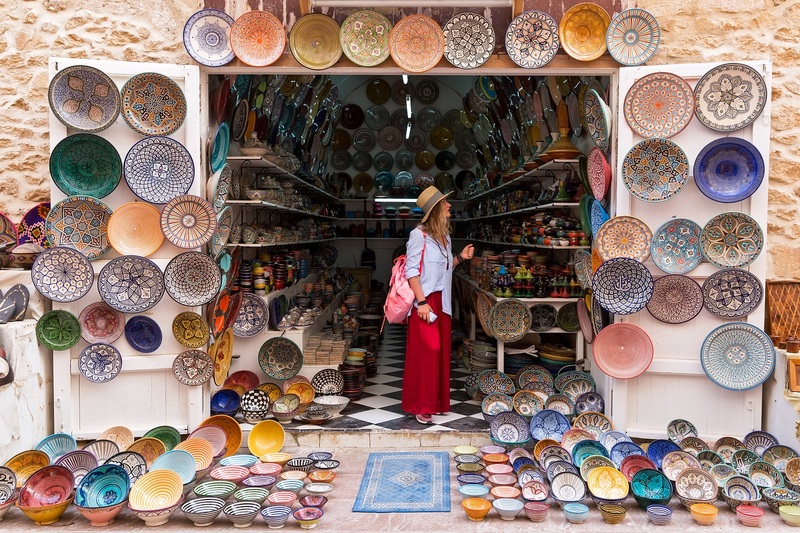 Exploring the medina’s winding and narrow streets, seeing the many historic buildings and hearing the traders calling out for customers and selling their wares, is something to experience. Here you can experience the past and present of Morocco at once. So whatever you are interested in, you will find lots to enjoy. Morocco is, and always has been, a melting pot. 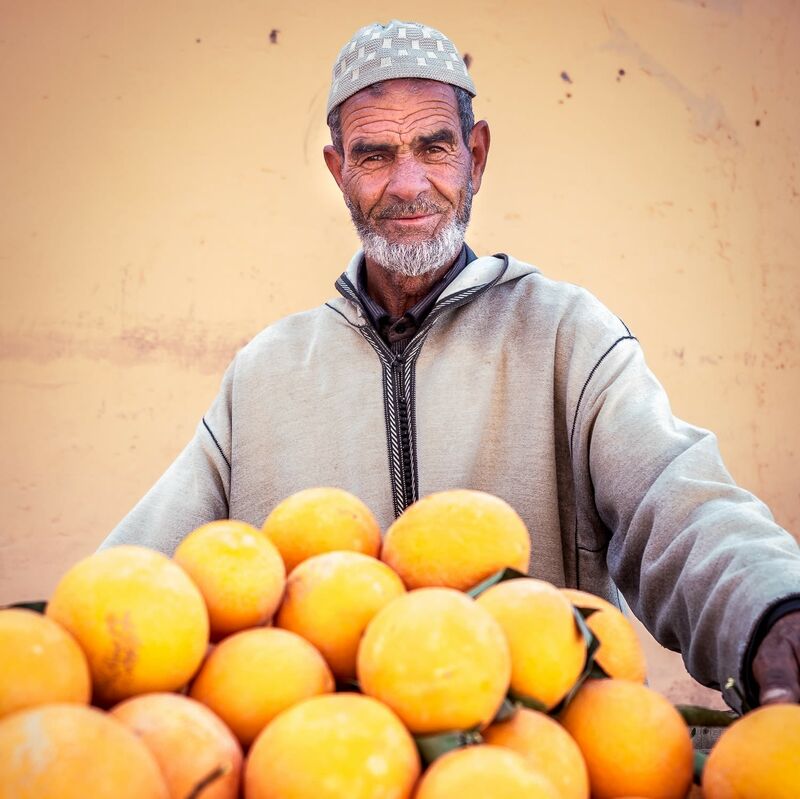 A place of wonderful diversity, for centuries, people from all over the world have migrated to Morocco (French is spoken here as much as Arabic). When you walk down a street in Morocco, you’ll see Europeans, Arabs, and African people all living harmoniously. Perhaps this diversity is the reason Moroccans are so welcoming to newcomers. You will likely find Moroccans to be a kind, open, and friendly people who are proud of their country and culture, and wish to share it with you. If you think of Morocco, you might imagine large expanses of empty desert, or large dusty towns. While this is accurate for some places in Morocco, the country as a whole is wonderfully diverse. If you explore the country by vehicle, the long distances and long drives will be punctuated by sandy beaches at Oualidia and Essaouira, large expanses of desert near Merzouga and Agafay, rustic Berber towns near Skoura, majestic cities such as Rabat, and beautiful mountain valleys of the High Atlas, possibly all in one day’s drive. 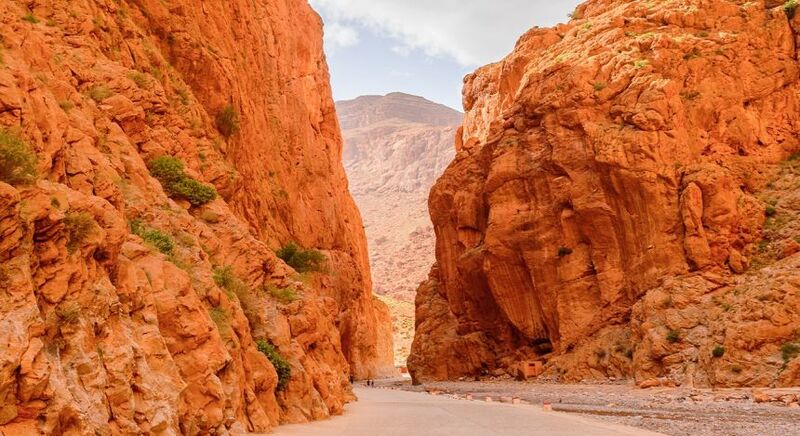 Morocco is a land which will constantly surprise you. 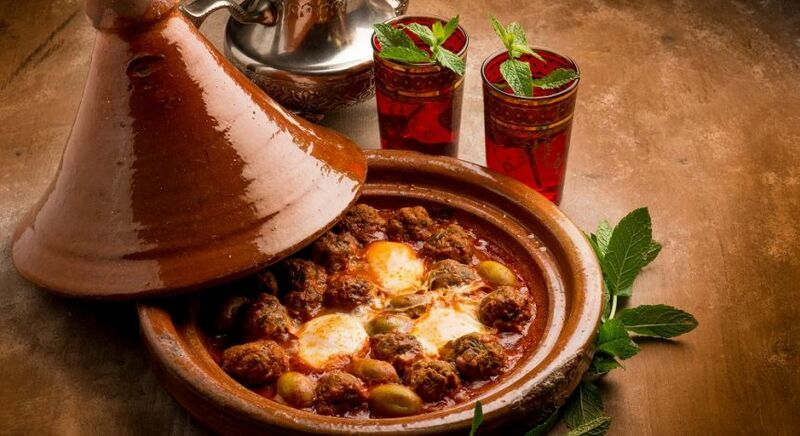 To truly make the most of your experience, we recommend taking a Moroccan cooking class. As mentioned earlier, the food of Morocco is representative of the countless cultures and people who have called Morocco home through time. Generally speaking, you’ll find the food to be a delicious blend of Arabic, Andalusian, and Mediterranean, with hints of sub-Saharan Africa and Central Europe (France in particular). As Morocco produces a large amount of fruit and vegetables, the cuisine is wonderful for vegetarians, indeed, rich and flavorful salads are a staple of the Moroccan diet. Though Moroccans love to mix spices with their food, the cuisine is generally not too overwhelming, so those who prefer their food to be mild will be able to eat comfortably. Morocco’s strong French influence means that some restaurants will prepare delicious and traditional food h while adhering to the high standards and skilled methods of French cuisine. 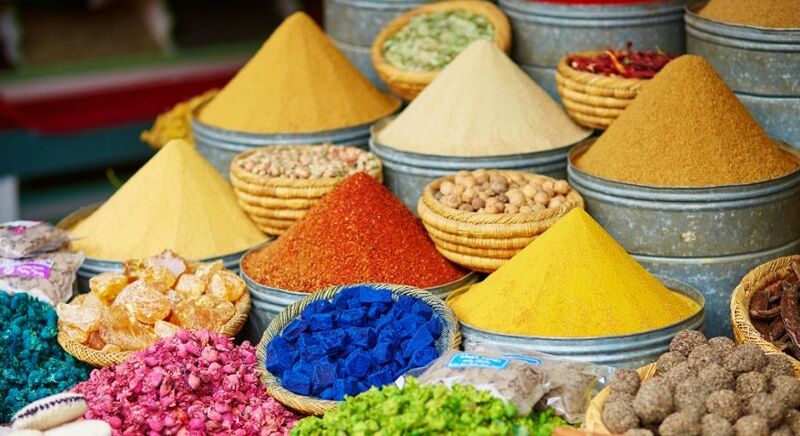 To truly make the most of your experience, we recommend taking a Moroccan cooking class. 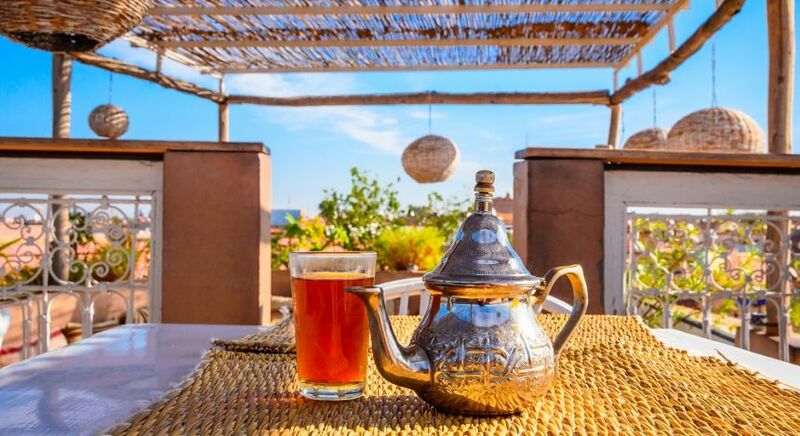 a great deal of Moroccan culture is present in its cuisine, so being able to cook Moroccan food at home can be a wonderful way to take a piece of the country back home with you. When you visit Morocco, there is merit in opting for a customized and private tour over a large group tour. Some the most wonderful experiences Morocco can offer, such as wandering through the medina (old town) of Marrakech, visiting ornate temples and palaces or exploring the country’s magnificent terrain, can be greatly hampered by being part of a large group. After all, a hot and crowded tour bus is no way to see the desert! 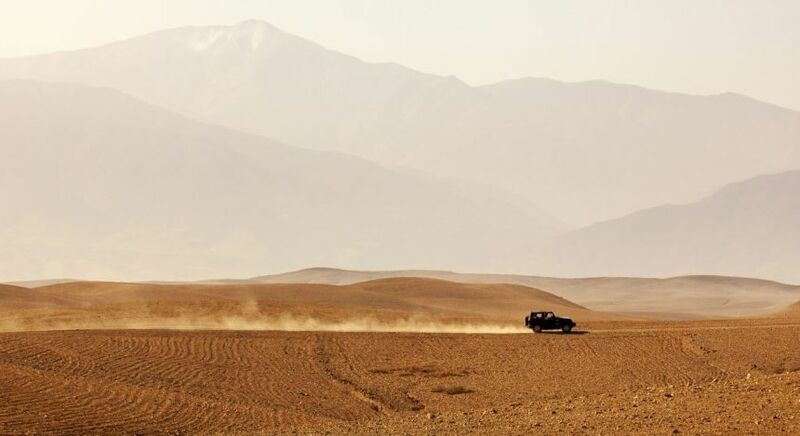 Much more enjoyable is a scenic desert safari in the privacy and comfort of your own vehicle with the added benefit of stopping for photos or rest whenever you choose – your friends at Enchanting Travels are happy to arrange this for you! Click here to design your completely customized, private tour of Morocco with advice from our experts. 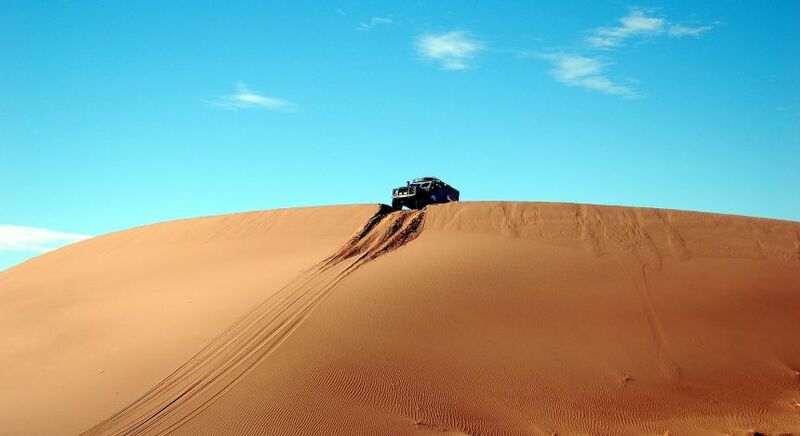 Morocco desert tours such a great tour if you have to meet change to go there because Morocco places are such heaven, desert, beach, mosque etc.